Immaculately maintained Treanna model 6BR/5BA + den + loft + 3 car garage located in the resort-style community of Jupiter Country Club. Grand 2 story foyer welcomes you to this gorgeous home. Hardwood floors, Saturnia marble flooring, coffered ceilings & many more upgrades. Energy efficient with impact glass throughout. Chef's kitchen with granite countertops & island, premium soft-close cabinetry & stainless steel appliances. 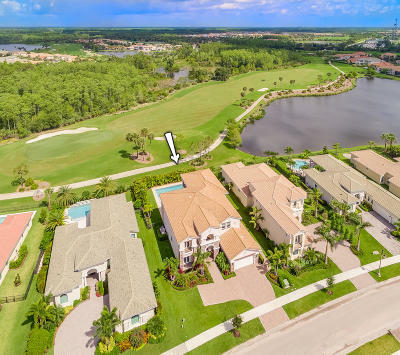 Master suite has sweeping golf, lake&preserve views and boasts 2 large walk in closets with built-ins and a luxurious spa-like bath. Oversized pool deck & covered patio. Property comes with full golf membership. Amenities include Greg Norman golf course, 2 pools, 2 restaurants, fitness center, tennis, bocce ball, pickle ball & basketball.